I love meeting and talking to people, making new friends and catching up with old friends. So, it's understandable that I've found that face-to-face workshops are a great way to meet and connect with people who are looking for natural ways to support their health and well-being. I do encourage you to come along to a workshop or class so we can talk about your personal needs and explore ways to support you on your journey to health and wellbeing. You are welcome to come as often as you like to learn about and become confident with using our amazing essential oils and products. I love to welcome new people to our beautiful, supportive dōTERRA community. My workshops are open to anyone whether you are curious about essential oils, want to learn how to use your oils and products, or perhaps looking to learn how to run your own events. I am SO looking forward to meeting you! Have a browse through my workshops. Note: some are still in planning stage but you can express interest in coming along to a particular one by emailing me here. Nature's Solutions for healthy, empowered living – FREE / 2 hours / learn how to support your health with dōTERRA's essential oils and products, find out how you can earn money by sharing dōTERRA or starting your own business Find out more here. A series of workshops where you will explore how to live a life less toxic. Learn about the chemicals and toxins in our everyday cleaning, body, and home products. Make your own natural, safe, effective and affordable products to take home to replace the toxic, chemical-laden commercial store-bought products. Cleaning - the Basics - $35 per guest / 2 hours / take home foaming hand wash, all purpose spray, mould spray, natural wood dusting spray. Find out more here. Cleaning - Advanced - costs and time tba / take the next steps with your low-tox cleaning regime - take home dishwasher tablets, room freshener, wood beeswax polish (tbc). Express interest in attending - email me here. 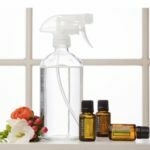 Spring Cleaning Workshop - $25 per guest / 2 hours / take home all purpose spray, foaming handwash, mould spray, ant/spider/mice repellant spray, and recipe booklet. Find out more here. Home Health Support tba - make and take home first aid products. Express interest in attending - email me here. Indoor/Outdoor, Garden and Pest Support tba - make and take home natural products to help you with your gardening and controlling pests. Express interest in attending - email me here. Personal Care - the Basics tba - express interest in attending - email me here. Kids Stuff tba - natural products to support your child's health, fun toxin-free play products. Express interest in attending - email me here. Travel Essentials cost and time tba - essential products to take with you when you're travelling or just out'n'about. Express interest in attending - email me here. Spa Treatments cost and time tba - pamper yourself with your own homemade body products. Express interest in attending - email me here. Winter Wellness Workshop - $25 / 2 hours / make some natural products to support your body through the winter coughs, colds and sniffles. Express interest in attending - email me here. Surviving Summer - tba - make some natural products to help you survive summer. Express interest in attending - email me here. Roller make'n'take workshop - $10 / 2 hours / have fun with your oils making some roller blends to take home. Express interest in attending - email me here. Let's smell great perfume workshop - cost and time tba / have fun making your own perfumes to take home. Express interest in attending - email me here. Mother's Day Workshop tba - express interest in attending - email me here. Father's Day Workshop tba - express interest in attending - email me here. Valentine's Day for Her tba - express interest in attending - email me here. Valentine's Day for Him tba - express interest in attending - email me here. Is there something else you'd like to learn about or do you have a special event you'd like to discuss? Contact me here.